The Day, The Times of India, LexisNexis News, Yahoo India NEWS Beta, The Independent (U.K), USA Today, India Times, World News Network, The Behavioral Medicine Report, Newswise, India Talkies, FirstScience, Daily India, The Medical News, Sify News, Sindh Today, TechnoBahn Science, Daily Times India, News Track India, Medical News Today, Australia.To, The Indic Post, Psydir News, New Kerala, Little About, The Gaera Times, YaHind, Science Codex, India Vision, Sott, One India, DNA India, WebIndia123, Area Pal, PsysOrg, Andhravilas, The Info Sage, Science Blog, Senegambia News, Science Bloggers, Massage, Plausible Futures, Andhra News, Celbrifi, Impactlab, Buzz7, MedIndia, NetIndia123, and Health News US. 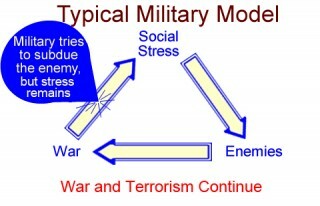 A leading scientific journal in Pakistan, The Journal of Management & Social Science,* recently published a paper titled "A New Role for the Military: Preventing Enemies from Arising-Reviving an Ancient Approach to Peace," indicating that the military application of the Transcendental Meditation technique has merit. The paper discusses how militaries worldwide could use the Transcendental Meditation® and TM-Sidhi® program, founded by Maharishi Mahesh Yogi, as a non-religious and scientifically verified way to prevent war and terrorism. When used in a military context, these meditation practices are known as Invincible Defense Technology (IDT). 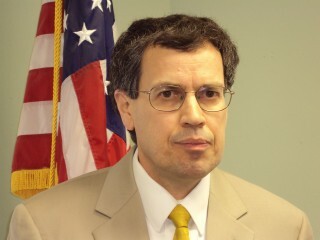 The paper's author is David R. Leffler, Ph.D., Executive Director of the Center for Advanced Military Science at t..., Technology and Public Policy at Maharishi University of Management in Fairfield, Iowa, USA. "This paper introduces a new role for the military: 'Prevention Wings' whose purpose is to prevent enemies from arising," said Dr. Leffler. "This new approach, derived from the ancient Vedic tradition of India, is supported by over 50 scientific studies. IDT can create victory before war, and can assist in peacemaking, peacekeeping, and peacebuilding." The size of the Prevention Wing would usually be 2%-3% of a nation's military personnel. 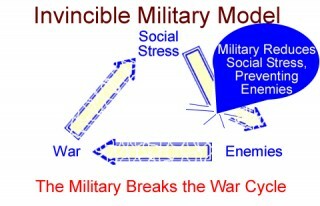 Military-related institutions have shown interest in Invincible Defense Technology. Dr. Leffler first presented his review paper at the "International Sociological Association Research Committee 01 Seoul National University & Korea Military Academy International Conference on Armed Forces & Conflict Resolution in a Globalized World" in Seoul, Korea, in 2008. He also presented the paper at the Korea Institute of Defense Analyses. Dr. Leffler also spoke at the "5th Annual Countering IEDs - Assessing the IED Threat and its Evolu..." conference in Washington, DC. The title of his briefing was "Invincible Defense Technology (IDT) as a Means to Prevent the Implementation of IEDs." Dr. Leffler has also given presentations at the Russian Air Force Academy, The Russian Academy of Sciences, and US defense-related institutions such as the Institute of Defense and Business. Translations of the paper are available online (Italiano, Korean, Hungarian, Español, Français). Since Dr. Leffler's paper was submitted to JMSS in 2008, another paper about IDT was published on 29 June 2009 in the peer-reviewed Journal of Scientific Exploration by Dr. David Orme-Johnson. For more information on that paper, read: "Peace in the Middle East: Scientific solution to a political problem?" The article, published in Beirut-Online News, asserts that peace in this troubled region is easily within reach. It focuses on the topic of Invincible Defense Technology and features quotes and Internet links to publications by military-related leaders worldwide who support the implementation of Invincible Defense Technology.